Historically, the “Top Shelf” at most retail dispensaries has been largely and almost exclusively indoor grown. 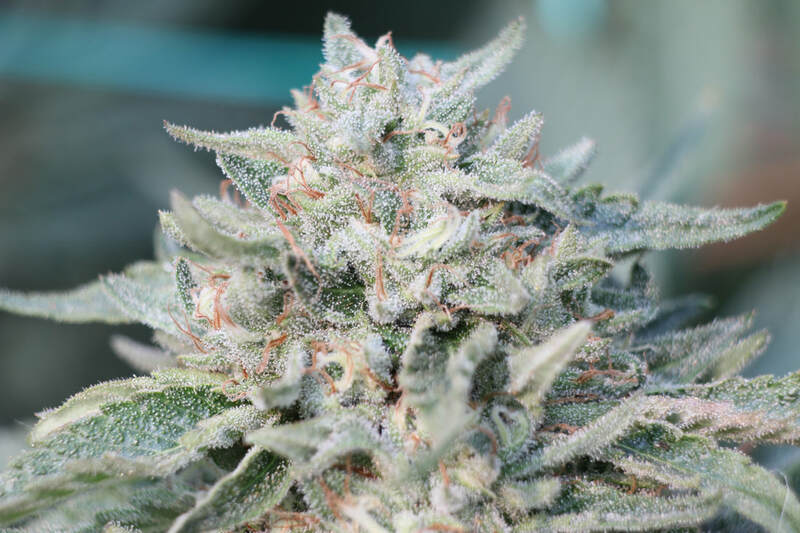 There is no question that an indoor cultivator with great skill can create a product that looks just right, and is harvested at the exact finishing time. In fact every watering, feeding and light cycle can be perfectly timed out with a timer, often controlled entirely from the grower’s mobile device while they are somewhere else besides their grow room. However, it is our opinion that the sun is still better than any light bulb, and that full season naturally sungrown flowers have the most optimal terpene, cannabinoid, and flavonoid profiles. But too often, the retail dispensary, many of which are now vertically integrated, is not even giving consumers the chance to compare a craft sungrown product with their own mass produced low to medium grade product because they need you to buy theirs, which they produce en mass on the cheap, cheaper than the low ball price they were once willing to give small farmers, so that they can continue to mark up the price over 300% to the customer and make their profit despite all the money they just dumped into replacing small craft farmers with mediocre mass production—and all those light bulbs. Many retailers have vertically integrated due to loopholes in the new canna-laws and are now over-producing to the point that they are competing with farmers for shelf space at other retail locations, when a year ago they offered to their consumers craft cannabis from small farmers. So, be wary as a consumer. If they don’t carry any sungrown, they’re probably selling you their vertically integrated indoor. And now the consumer gets to pay more for an inferior product without even being given the choice in many cases. So who wins here? Not the consumer. Not the small craft farmer. Only a few large corporations. Sound familiar? Two months into recreational cannabis legalization in California, the small farmer faces the steepest part yet of the climb in the arduous road to the California retail market. 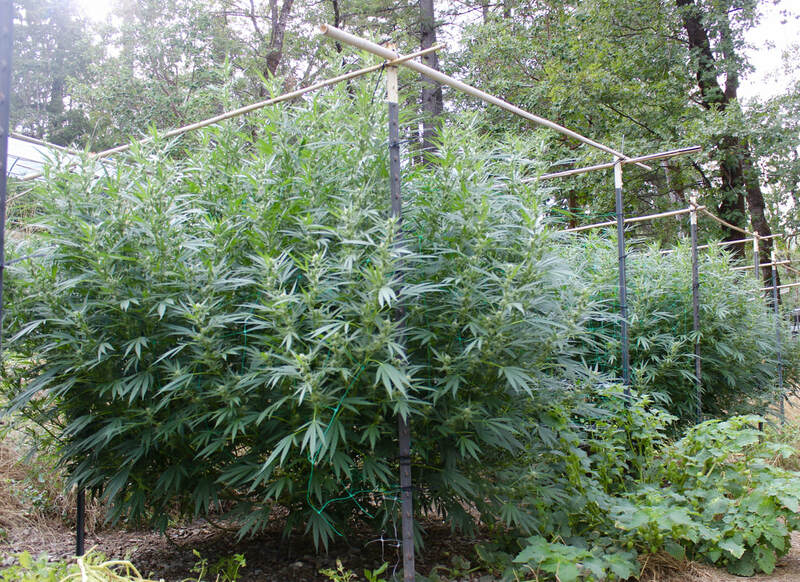 Only 1% of the existing heritage farmers in the three counties of the Emerald Triangle have attained a state license. These tens of thousands of small farmers have historically produced 60% of the cannabis consumed nationwide, and were falsely promised by the state of California a chance to finally come out of the shadows. The burgeoning legal market threatens to leave most of us behind.Out of the 1% of the small Emerald Triangle farmers who have attained a state permit, it is expected that about half will fail to make it through the hoops of regulation and/or go out of business this year. Meanwhile, large corporate entities continue to claim the majority of the state licenses and retail shelf space thus far handed out. So what does this mean? It means that it is still pretty damn hard for most Californians to find a nice selection of fair trade, ethically and regeneratively produced pure, clean, sungrown medicine from a truly small, artisanal craft farmer in their local dispensary. And it isn’t because we don’t exist! Who is going to bat for the conscious consumer? Who is going to bat for the small farmer? We were also very excited to attend a Regenerative Cannabis Farmers gathering at Flow Kana Institute a couple weekends ago. It was a very positive gathering at a time when regenerative, artisanal farmers need to come together most and define who we are and what Regenerative Farming truly means so that conscious consumers can know the difference between us and all the green-washed corporate propaganda that is sure to over-saturate the general retail market. The problem is, will any of this happen in time to save the small farmer from sinking under the new regulations and competition from vertically integrated corporations? Even with a growing Regenerative cannabis movement, it still remains a question whether most small craft farmers will find their way to the retail shelves. Those of us who have been fortunate enough to reach the shelves are still facing a steep uphill battle to secure regulated transport and distribution channels and fair trade prices before we are starved out. In Trinity County, we still don’t have locally licensed Transport or Distribution channels and yet farmers are being asked to pay yet another year’s worth of fees without even having had the chance to operate legally before having to pay for another year. A fee study of our county program has yet to be done, but it is the third “annual” fee in just over a year and the second “annual” fee my family alone has paid in less than 6 months to the county! Due to discrepancies between our local ordinance’s expiration rules and the state’s regulatory system, we are caught in a Catch 22. ​We’ve had our temporary state license for only less than one month, are working our butts off to attract out-of-county distributors and transporters to come all the way out here, and meanwhile our own county is about to put us out of business, with more fees, before we can even say the words “Net 60”. It is really coming down to the wire, we hate to say it, but it’s true. It is worse than we feared. We still have a glimmer of hope that some miracle will happen. And if we don’t make it, that hopefully some little guy somewhere will. if you are reading this in horror, you might be wondering, what can a person do? First, demand your local dispensary carry Regenerative Sungrown cannabis. If they don’t know what that means, educate them. Secondly, only support retailers that do offer Sungrown cannabis from craft farmers with ethical farming practices. Ask them if they pay the farmer a fair trade price; ask them if they are willing to be transparent about their markups to the consumer. Start writing letters to our state elected officials if you voted for Prop 64/Recreational Cannabis, because your state government has created a loophole in the law voters passed that allows large entities to completely vertically integrate and hold as many licenses as they wish, allowing them to monopolize as much of the industry as they can afford to buy. Even many organic inputs are sourced from industrial waste byproducts or unsustainable mining operations and are shipped globally, resulting in massive carbon footprints and high costs for the farmer. As the burgeoning legal cannabis industry is greenwashed by false marketing promises of sustainability,Regenerative Farming will define a new standard of sustainability for consumers of our food and medicine that are in line with the values that the plant teaches us.